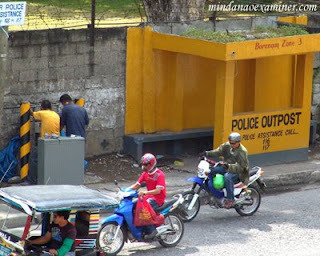 ZAMBOANGA CITY, Philippines (Mindanao Examiner / October 4, 2009) – Authorities are in heightened alert Sunday in Zamboanga City following the fighting between troops and rebels in Sulu province in the southern Philippines. “We have stepped up our security and are closely working with the police to prevent terrorism or bombing in Zamboanga City,” Army Colonel Santiago Baluyot, commander of an anti-terror task force, told the Mindanao Examiner. Zamboanga City, which had been previously bombed by Abu Sayyaf militants, is currently celebrating the weeklong Hermosa Festival in honor of the Virgin Mary locally known as “Our Lady of the Pilar,” its patron saint. A regional military commander, Marine Major General Benjamin Dolorfino, said they would launch Monday a new “hotline” that would allow citizens to send text messages from their cell phones or inform authorities about suspicious persons or information that could prevent terrorism. “We are going to launch this on Monday so citizens can easily and quickly provide information through SMS (short message system) from their cell phones,” Dolorfino said in a separate interview. 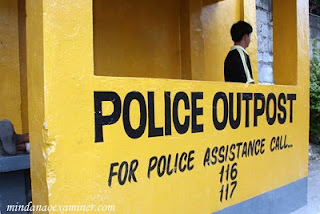 Aside from the new hotline number, police also have telephone numbers 166 and 117 posted in many areas in Zamboanga City where citizens can call at anytime in case of an emergency similar to 911 in the United States.However, some of the hotlines were wrongly printed and instead of 166, the police line is written as 116. Government forces are battling Moro rebels since last month in the province and had already killed at least 45 gunmen and soldiers, including two members of the US Special Forces. The Bangsamoro National Liberation Army warned of more attacks against the military and civilian targets in the Philippines in retaliation to the continued government offensive against rebels in Sulu province. The shadowy group, an ally of the Moro National Liberation Front, has claimed responsibility for the September 29 roadside bombing in Sulu that killed US soldiers Sergeant First Class Christopher D. Shaw of Markham, Illinois, 37; and Staff Sergeant Jack M. Martin III of Bethany, Oklahoma, 26. Madarang Sali, BNLA deputy supreme commander, rebel forces have declared a holy war against the Armed Forces of the Philippines and the Philippine government. Sali, also the spokesman for the Bangsamoro Federated States of Sulu Archipelago, said US forces were involved in the Philippine military offensive against the rebel forces. But the killing of the two US Special Forces soldiers further bolstered suspicions that American troops joined counterterrorism operations in Sulu where 42 militants and soldiers were killed in recent clashes in Indanan town.